The Monopoly Leather Lace-Up Boot is currently selling for just $59.99 on ChineseLaundry.com! You will be saving 54% off the listed price of $129.95 with this shoe deal. 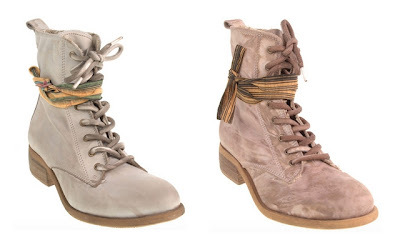 These lace-up boots would be really cute for Springtime with a skirt, skinny jeans, or even shorts. Checkout the Chinese Laundry boot sale for boots priced as low as $29.99. You can get Free Shipping on any order (no minimum purchase) when you checkout with Chinese Laundry promo code: AFSHIPFREE through 3/31!